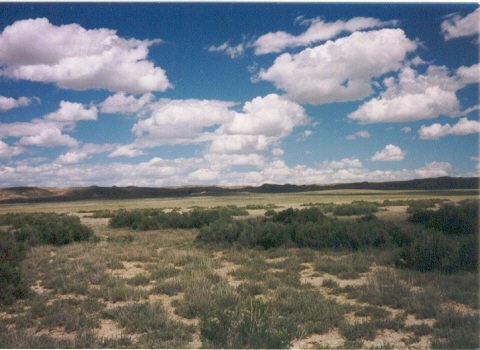 160 Acres Near Rawlins, Wyoming! Owner Will Carry! Low Priced! A quarter section (160-acs) of land for $249 per acre with spectacular "seller financing" terms. This checkerboard region (alternate sections of private and public ownership) is a real "sleeper" as private property owners can enjoy hundreds of thousands of acres that the general public can't legally access! Also with massive inflation coming don't you think the value of any reasonably priced 160-acre tract today will automatically be greater in 10-years from now? Price: $39,840 ($249/ac) with $840 down and the balance of $39,000 payable at $390 per month (amortized over 186-months including 9% interest). Access/Roads: This property is located in the checkerboard area (ownership alternates between private and federal) and access is per long standing BLM (Bureau of Land Management) policies (meaning private owners can cross BLM land to get to private property but the public can't cross private lands to get to BLM property). An actual road, however, may or may not exist at this time. Mineral Rights: As in most oil producing states the mineral rights have been owned by exploration companies for many years but a landowner would receive some form of compensation if wells were ever drilled. Surveys: All sections were previously surveyed by the federal government but private surveys for individual 160-acre tracts have not been completed. Zoning/Usage: Zoning is basically "agricultural" and if expanded usage is anticipated you should check with Sweetwater County Planning & Zoning (307-872-3914). Wyoming 144 Acres! Rochelle Ranch! Only $225/ac! Onwer Will Carry! 160 Acres Rawlins, Wyoming! Owner Will Carry! 40 Acres Just West Of Casper, Wyoming! Surveyed! Nice Building Site! OWC! 40 Acres Alcova, Wyoming! Near Pathfinder Reservoir! OWC!